Adjective + Preposition: Memos 6. The present downloadable teaching material is recommended for high school students and elementary school students at Pre-intermediate (A2) and Intermediate (B1) level. 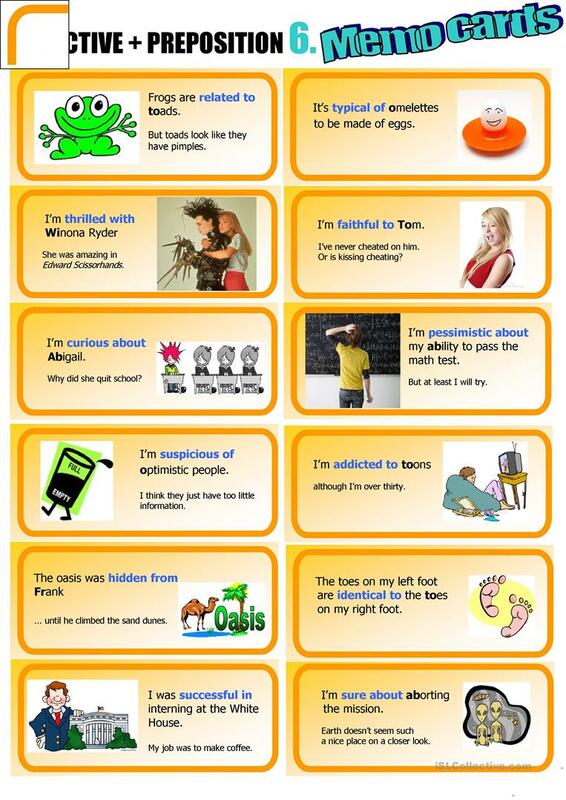 It is great for practising Prepositions in English.